The good news is that i managed to travel from Cairo to Istanbul with my bike and keep it in one peace. The bad news is that it was not as easy as i think. I spent a lot of time learning about the best way to pack my bike and be prepared for traveling through Egyptair. The trouble started very early on the travel day, i discovered that the box does not fit in the back of my car while it has the bike inside, i did a test before but with the empty box so i was able to squeeze it a bit and close the box, but with the bike inside i can’t push too much. However, i managed to use a rope to hold the door closed without actually locking it. 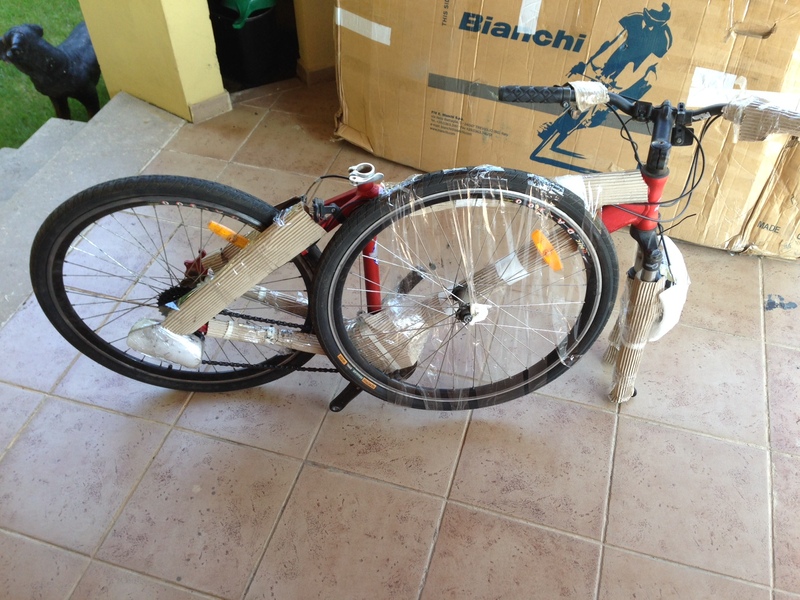 After arriving to the airport and passing through the X-ray check,i shrink wrapped the bike just for LE 30 ($8), it was a good investment, kept the box held together. Finishing the boarding was the main challenge, i had only the bike as my only baggage piece in addition to a small carry-on bag. The Egyptair station stated that the bike will be charged 50% of an additional baggage piece. I showed him the email i receive from Egyptair and explained to him how this is not true. He checked with his manager and they finally accepted it, and kept a copy of the email. Surprisingly enough, the bike weight including the box, packing and all accessories and tools that i have included in the box did not exceed 20 KG! 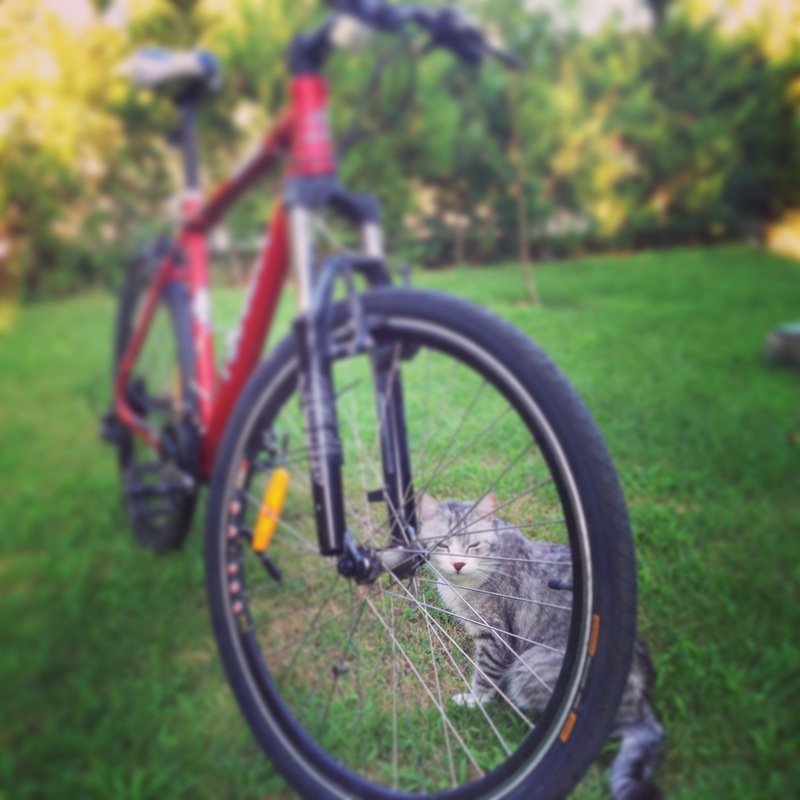 Shiro was so curious about the bicycle, he wonders if this is his new toy! 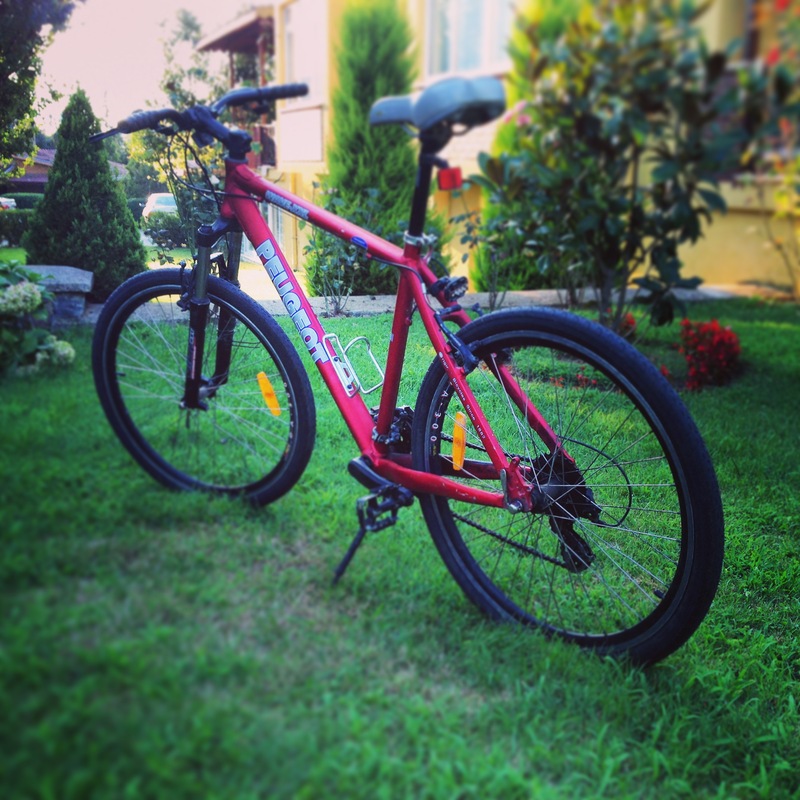 I hope one day i will be able to travel from Cairo to Istanbul on my bike but this time i’m just flying with my bike. I’ve been asking many people lately about their experience about traveling with the bike, packing required, fees involved, and other stuff. I got lots of answers and recommendations but i heard the word “it depends” a lot, so today i’m sharing my experience about traveling with the bike. Before packing your bike, you should make sure that your bike is in a good shape and that it will be a reliable companion for you, so fixing and preparing your bike at home will be much easier than traveling with it and then discovering that something went wrong. Cleaning the bike: I used the garden water hose with LOW pressure to clean the bike and get off the dirt. Make sure not to use high water pressure as it can break the welding connections in your bike. The i used the home spray to clean off the chains, gears, derailleur and other mechanical parts. Make sure to dry all the water with a clean piece of cloth, although the body is made of aluminium there are many other steel components which might rust. 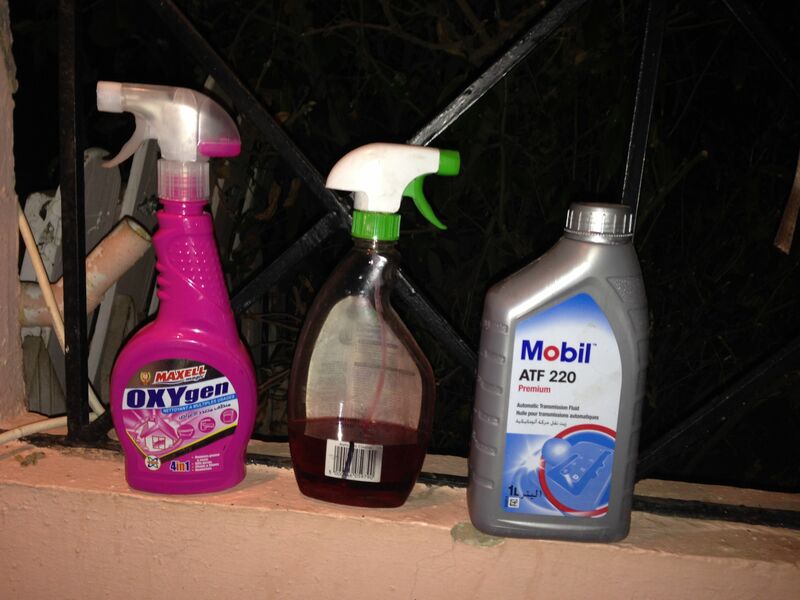 Oiling: I tried may oiling products before including engine oil, care grease and others but they always fail because they collect dust and dirt, so you definitely need a lighter kind of oil that would work well for you. If you can’t put your hands on bike chain sprays then the other alternative would be Mobil automatic/manual gear box oil. Put some oil into a spray and start spraying generously on your chain and gears after the water has completely dried. Tyres: You need to make sure that your tyres are reliable and would fit the kinds of roads that you will use and make you feel comfortable. I have’t changed my tyres in the past 3.5 years, even though i haven’t made a high mileage with them, that’s a pretty long time to keep your bike tyres. They are old and would probably need to be changed within 6-12 months. So why not change it now? 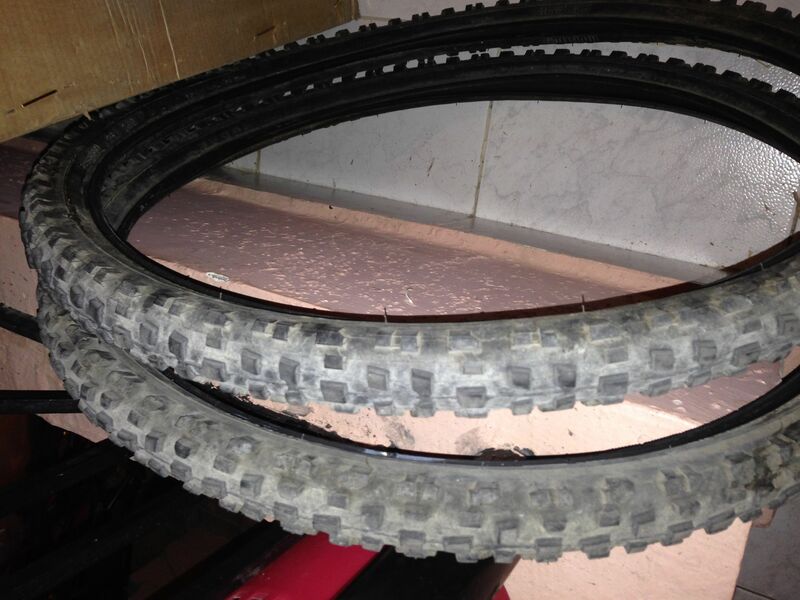 The other reason i changed the tyres is that i know that i will use my MTB for road rides and i will not go off road so i would really need normal smooth tyres that would impose less friction and make my ride smoother. 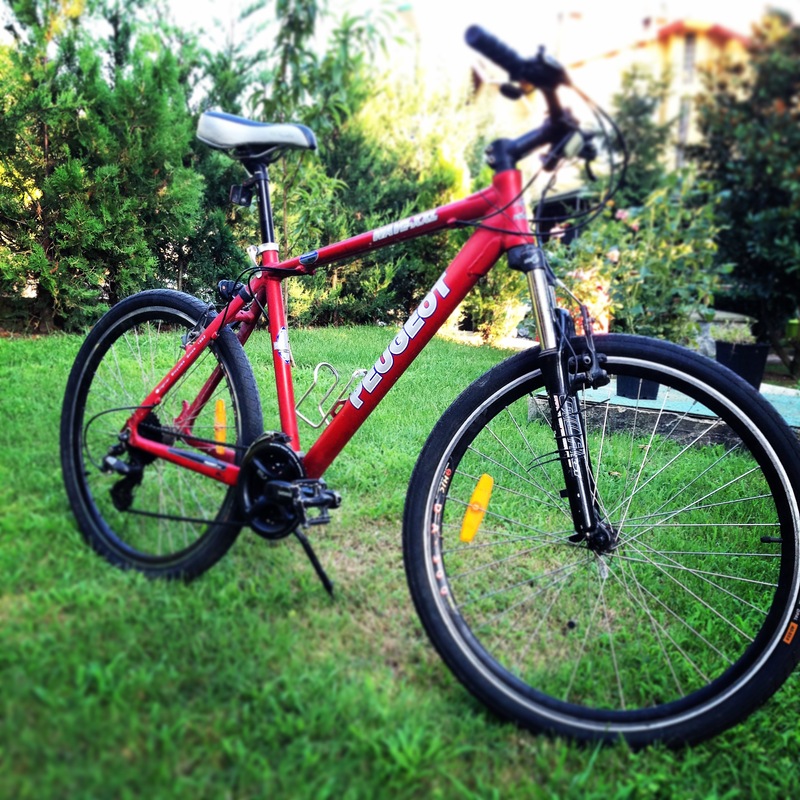 Changing the bike tyres is very simple and does not involve any special tools, with some patinece and watching one or two youtube videos you can do it yourself. Bicycles should be packed in a container or box with the handlebars turned parallel to the frame, and the tire pressure reduced or flattened. 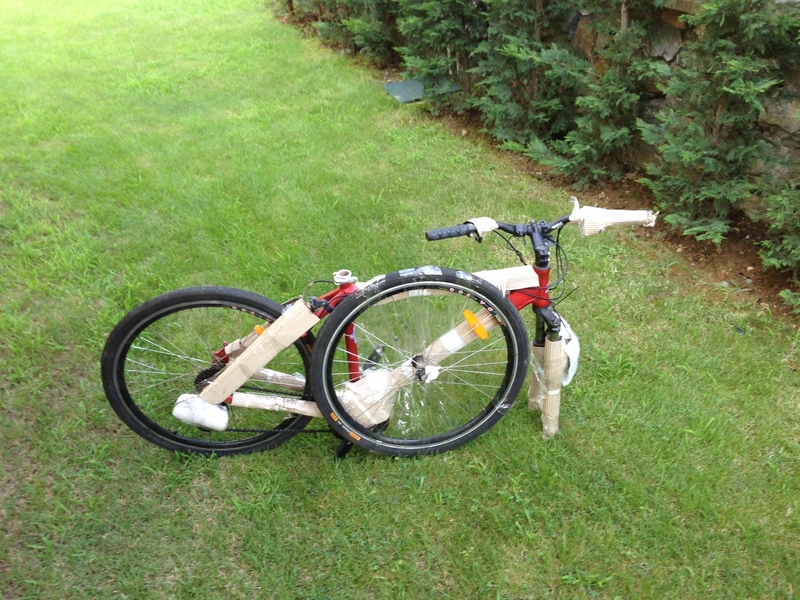 Use a special bike boxes with the following size: (177 x 23 x 102 cm). 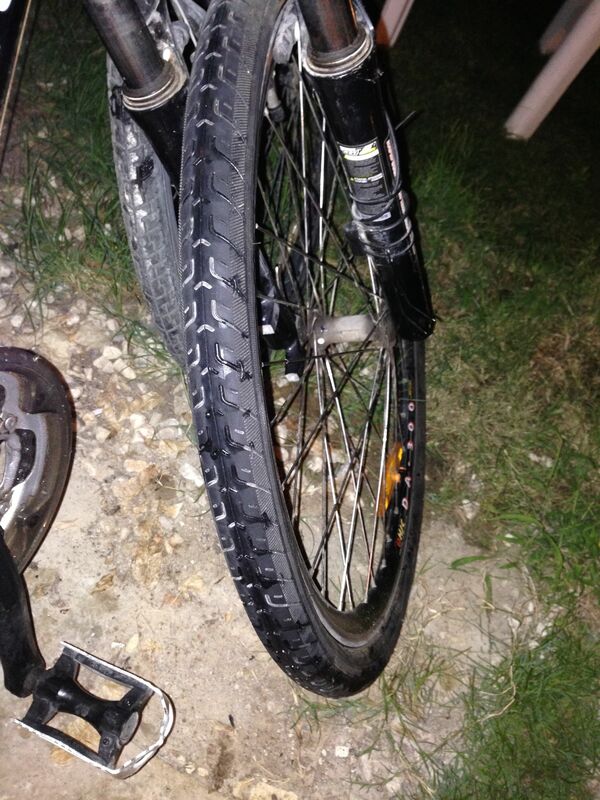 front wheel should be taken off and fastened to the centre of the bicycle, pedals should be removed or fixed inwards. All easily breakable parts must be dismounted. 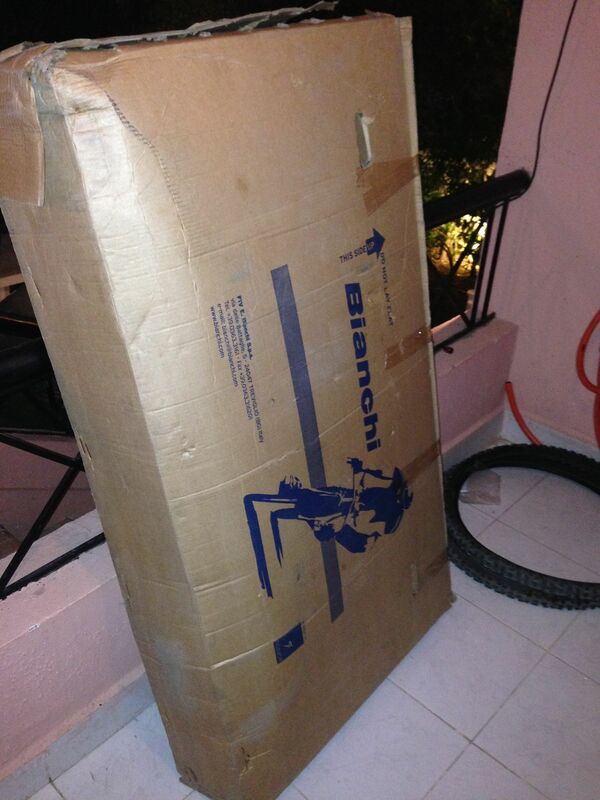 So actually all you need to do it to get a bike box, you can get this from any bike retail shop as they have tons of these empty boxes (have you ever seen someone bought a bike unmounted inside a box?) i got mine from Besceletta, the guys were generous enough to offer me the box for free. After securing the box, you have to make sure you do 3 things, unmount the front wheel and duck tape it to the middle of the bike, release the handlebars and turn them to be parallel to the frame and unmount the pedals and duck tape them too. 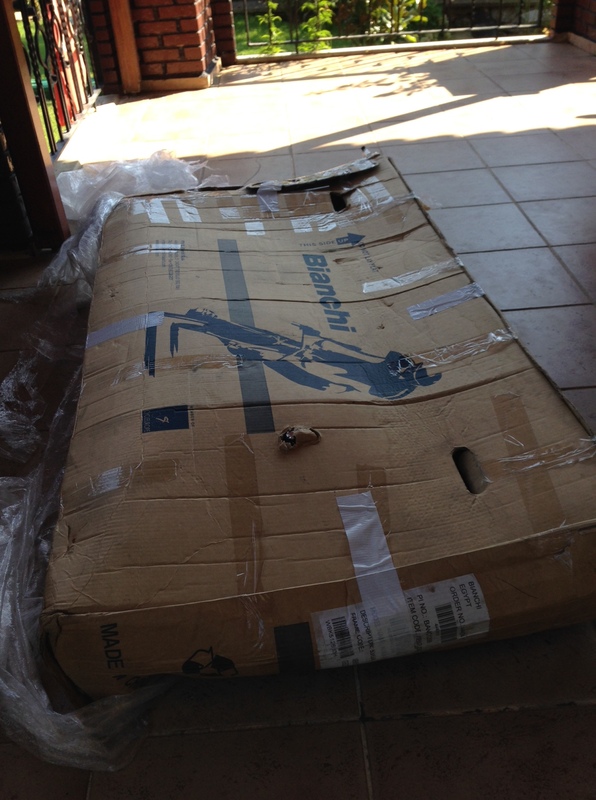 You may also want to cover the bars of the bike body and fork with plastic or cartoon wrap to offer extra protection and void scratching , just put the bike in and tape the box very well and now you’re reach to go! If your bike box does not fit into your car back seat then there is a very high it won’t be accepted as a part of your luggage at the airport, again, make sure you are using the box with the right size: (177 x 23 x 102 cm). Your bike will usually be accepted as a part of your luggage, so make sure you know what’s you allowed luggage, in Egypt Air it is usually 2 pieces each 23KG max. so if your bike does not exceed 23KG (that’s pretty heavy for a bike) then it will be considered as one of the two piece, and you will not have to pay any extra luggage fees but anyways be prepared with 150 USD just in case things go out of control. Egyptair policies and rules for traveling with a bicycle. Thank you for contacting EgyptAir and our station call center team .we will be glad if we can help you .Regarding to your inquiry kindly be informed that bike Should normally be sent as cargo, but they may be accepted as baggage provided the front wheel is taken off and fastened to the centre of the bicycle, tires must be flat, pedals removed or fixed inwards. All easily breakable parts must be dismounted. A charge will always apply for the transportation of bicycles. The charge will be equal to 100 % of the applicable excess baggage rate. The charge is only assessed if the bike is not included in the normal free baggage allowance. Bicycles should be packed in a container or box with the handlebars turned parallel to the frame, the pedals and any protruding parts removed, and the tire pressure reduced. Special boxes (177 x 23 x 102 cm). Tandem bicycles cannot be accepted as baggage. 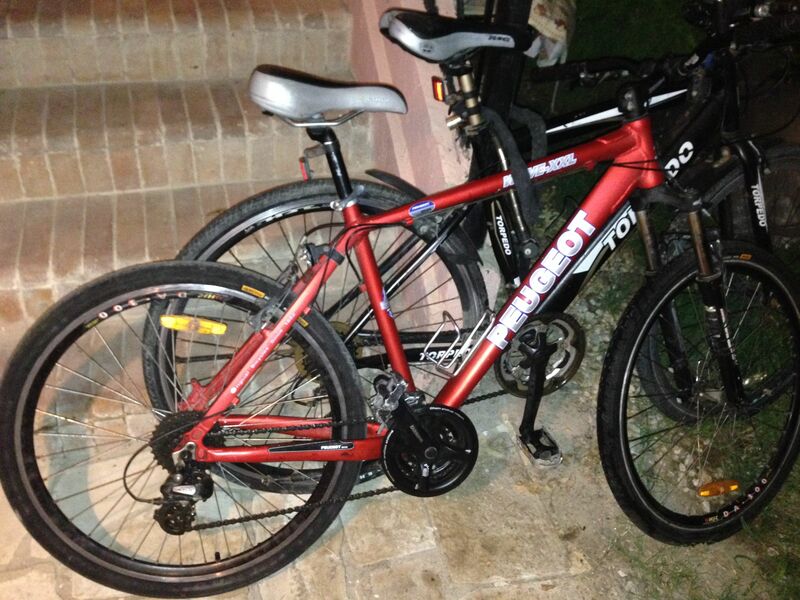 For information on the transportation of tandem bicycles, please contact EGYPTAIR Cargo. · Thank you once again for your e-mail. if you need any further assistance, please do not hesitate to contact us. Most probably you will be faced with someone at the counter who has never seen someone traveling with a bike before and he will tell you that you need to pay extra charge, DO NOT pay!, talk to him, show him the documents and ask for his manager… avoid paying at all costs! Just make sure you have your documents printed and ready, ask the to call the person who sent you this email if they don’t believe you. They won’t do it anyways. Now that you are prepared with your bike you need to make sure you secure a ride to the airport and another ride from the airport of your destination to the place where you will be staying. 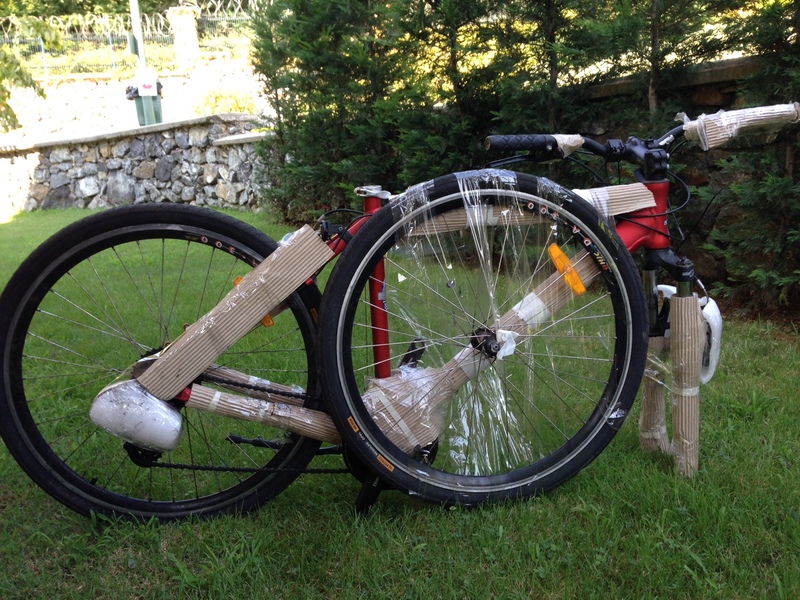 More to come in the second episode about the actual experience in the airport and how my bike looked when i received it at my destination airport.